I've been a little disengaged with Game of Thrones this season. While I've kept up with all the episodes, I haven't had the time to do my weekly recaps. Plus, this has been an especially downer of a season with a lot of questionable and disturbing things happening. If you've felt the same way about it as me, here's a little video that will hopefully bring some joy to Game of Thrones fans. 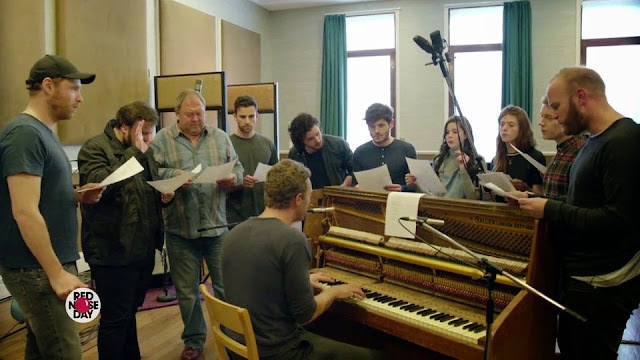 The premise is Coldplay is writing a musical for Game of Thrones, and they've gotten some of the stars of the show including Kit Harrington, Rose Leslie, and Mark Addy to participate. This is all in collaboration with Red Nose Day which started in Britain in 1988 to raise money for poor children in the United Kingdom and Africa. If you'd like to donate to the Red Nose Day Fund, please click here. LEGO Dimensions - GREAT SCOTT!! !